For inno­v­a­tive start-ups and tech com­pa­nies work­ing with blockchain and DLT tech­nol­o­gy, choos­ing the right oper­at­ing site is not easy. Unclear legal frame­works, often scep­ti­cal reg­u­la­to­ry author­i­ties or inad­e­quate infra­struc­ture can rep­re­sent sig­nif­i­cant obsta­cles to the company’s devel­op­ment and growth. One coun­try stands out here as a par­tic­u­lar­ly strik­ing pos­i­tive exam­ple: Mal­ta. Known as “Blockchain Island”, blockchain start-ups will find all the nec­es­sary con­di­tions here to set up a suc­cess­ful, inter­na­tion­al­ly active com­pa­ny. In the fol­low­ing, we dis­cuss 5 good rea­sons that speak in favour of locat­ing a com­pa­ny on Blockchain Island Mal­ta. Reason 1: Malta has the highest economic growth of all EU countries / Malta is the fastest growing economy in the EU. For sev­er­al years now, the Mal­tese econ­o­my has been flour­ish­ing and boast­ing the high­est eco­nom­ic growth of all EU mem­ber states. While the EU-28 grew by a mod­est 2.1 % on aver­age in 2018, Mal­ta record­ed a growth rate of 5.4 %. The EU Commission’s fore­cast for 2019 is sim­i­lar­ly bright: Malta’s econ­o­my will grow by 5.1% in 2019 — 3.2% more than the EU-28. Such a pos­i­tive eco­nom­ic envi­ron­ment facil­i­tates the estab­lish­ment of com­pa­nies and the recruit­ment of work­ers. Of course, in addi­tion to the cur­rent boom of the Blockchain Island, it attracts high­ly qual­i­fied work­ers from all over the world. Mal­ta Inter­na­tion­al Air­port also con­nects pas­sen­gers to Euro­pean and inter­na­tion­al des­ti­na­tions. In fact, there are more Euro­pean flights to Mal­ta every week than to Lon­don Heathrow. In par­tic­u­lar, the state-owned Air Mal­ta and RyanAir oper­ate dai­ly flights to Berlin, Düs­sel­dorf, Munich, Leipzig, Frank­furt, Ham­burg, Vien­na and Zurich. Mal­ta has long been known as an inno­v­a­tive and tech­nol­o­gy-friend­ly busi­ness loca­tion. In the ear­ly 2000s, a legal frame­work was adopt­ed to encour­age the estab­lish­ment of online gam­ing oper­a­tors. This mea­sure has proved extreme­ly suc­cess­ful over the past decade. More than 300 providers are cur­rent­ly reg­is­tered in Mal­ta. 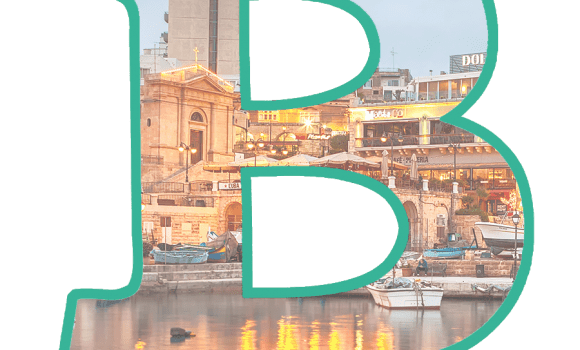 The industry’s total turnover makes up an impres­sive 12% of Malta’s GDP. The cam­paign for the posi­tion­ing as Blockchain Island of course seeks to cre­ate a sim­i­lar suc­cess sto­ry. With the Mal­tese gov­ern­ment, blockchain com­pa­nies have a sup­port­ive part­ner that is open to the diverse appli­ca­tion pos­si­bil­i­ties of this inno­v­a­tive tech­nol­o­gy. The gov­ern­ment is active­ly seek­ing to attract com­pa­nies to the region, as demon­strat­ed by the co-organ­i­sa­tion of the two major con­gress­es Delta Sum­mit and Mal­ta Blockchain Sum­mit in the fourth quar­ter of 2018. Prime Min­is­ter Joseph Mus­cat, Finance Min­is­ter Edward Sci­clu­na and Inno­va­tion Min­is­ter Sil­vio Schem­bri attend­ed per­son­al­ly to speak with par­tic­i­pants and pro­mote Mal­ta as a busi­ness loca­tion. In con­trast to larg­er economies, Mal­ta, with its almost 450,000 inhab­i­tants, offers a man­age­able ecosys­tem in which actors from busi­ness and pub­lic author­i­ties can get to know each oth­er per­son­al­ly and exchange ideas direct­ly. This also applies to the Mal­ta Dig­i­tal Inno­va­tion Author­i­ty, which was found­ed in 2018. 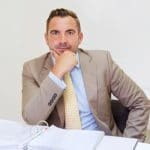 With the sup­port of a licensed VFA agent, the planned DLT mod­el can be analysed in con­sul­ta­tion with the reg­u­la­tor and opti­mised by iden­ti­fy­ing poten­tial short­com­ings and defi­cien­cies. Close con­sul­ta­tion and com­mu­ni­ca­tion in advance ensures that an offi­cial DLT license can ulti­mate­ly also be issued. 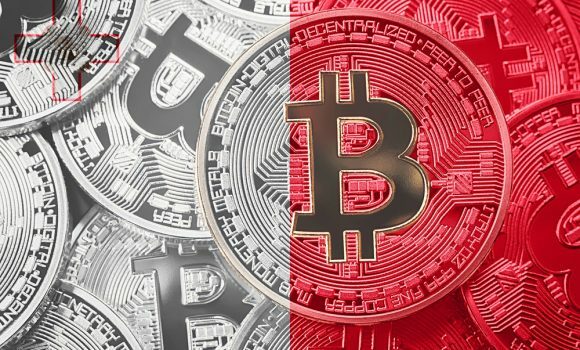 One of Malta’s great­est assets for blockchain com­pa­nies is the ground-break­ing and world’s first clear legal frame­work for DLT tech­nol­o­gy. In ear­ly 2018, three leg­isla­tive pro­pos­als were draft­ed for which the Mal­ta Finan­cial Ser­vices Author­i­ty (MFSA) also sought feed­back and advice from indus­try experts and blockchain start-ups. More­over, dif­fer­ent types of tokens were defined, so that a com­pa­ny in Mal­ta would find an ide­al start­ing point for issu­ing secu­ri­ty tokens as part of a secu­ri­ty token offer­ing. In fact, the Mal­ta Stock Exchange is already work­ing with Binance to set up a secu­ri­ty token exchange. 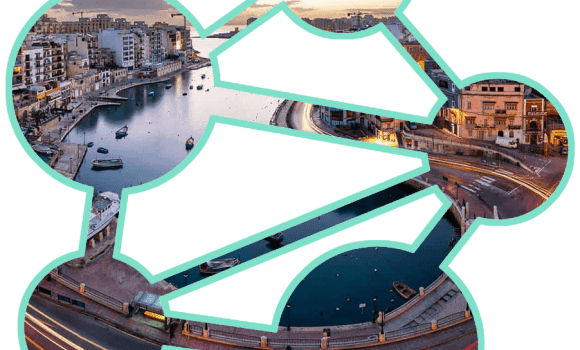 Since the Mal­tese gov­ern­ment ded­i­cat­ed itself to posi­tion­ing Mal­ta as Blockchain Island, the sun­ny Mediter­ranean island has advanced to an absolute Blockchain hub. More and more start-ups and founders from all over the world are set­tling here in order to prof­it from the attrac­tive frame­work con­di­tions. The result is a vibrant, dynam­ic blockchain com­mu­ni­ty that is sec­ond to none world­wide. Net­work­ing, knowl­edge shar­ing and mutu­al test­ing of pro­to­types is nowhere eas­i­er than here. The demand for office space has become so high that an entire cryp­to tow­er is planned. It will be avail­able exclu­sive­ly to com­pa­nies in the indus­try and will pro­vide them with ultra-mod­ern and urgent­ly need­ed office space. In addi­tion, there are major sum­mits and events at which the biggest names and experts in the indus­try meet. Mal­ta as a busi­ness loca­tion is also sup­port­ed by a busi­ness-friend­ly tax pol­i­cy with favourable tax rates and large­ly effi­cient bureau­crat­ic process­es. Finance Min­is­ter Sci­clu­na sums up the government’s atti­tude when he says “We hate bureau­cra­cy here. And we respect the pri­vate sec­tor and their ideas. And that’s the future. That’s where our future lies.” This is par­tic­u­lar­ly evi­dent in the com­par­a­tive­ly low rate of cor­po­rate income tax. Thus, with care­ful plan­ning and set­up, it is pos­si­ble to reduce the effec­tive cor­po­rate income tax rate to only 5%. This of course ben­e­fits block-chain com­pa­nies in par­tic­u­lar, which then have more cap­i­tal avail­able for invest­ment in the fur­ther devel­op­ment and growth of the com­pa­ny. As Mal­ta is an EU mem­ber state, com­pa­nies based in Mal­ta can offer their ser­vices through­out the EU. Blockchain com­pa­nies look­ing for a favourable loca­tion to locate their busi­ness must not miss Blockchain Island. With its tech­nol­o­gy-friend­ly gov­ern­ment, a vibrant Blockchain com­mu­ni­ty, clear legal frame­work and attrac­tive tax rates, Mal­ta offers the per­fect con­di­tions for Blockchain com­pa­nies from all over the world. The sun­ny weath­er and the pleas­ant tem­per­a­tures are just an attrac­tive bonus.